Oleg Grabar, Professor Emeritus at the Institute for Advanced Study in the School of Historical Studies, has had a far-reaching and profound influence on the study of Islamic art and architecture. When he began his career in the early 1950s, there were few historians of Islamic art in the United States. Fifty years later there are dozens, and Professor Grabar has been involved in the education of almost all of them. Grabar earned his reputation as a superb undergraduate lecturer and a demanding and invigorating seminar leader at the University of Michigan, where he began his teaching career in 1954, and subsequently at Harvard University, where he accepted a post as professor of fine arts in 1968. He was named the first Aga Khan Professor of Islamic Art and Architecture when that chair was established at Harvard in 1980. In 1990 he came to the Institute for Advanced Study to devote himself full-time to lecturing and research. A native of Strasbourg, France, Grabar was born into an intellectual environment fostered by a highly-educated family that included his father, Andr� Grabar, a well-known historian of Byzantine art. Oleg Grabar attended the University of Paris, receiving certificats de licence in ancient, medieval, and modern history in 1948 and 1950. He earned his B.A. (1950) from Harvard College in medieval history and his M.A. (1953) and Ph.D. (1955) from Princeton University. Through extensive travel in Asia he developed an early interest in the world of Islam, which led to a growing fascination with the East. Grabar claims that his interest in Islamic art history was due to the circumstances of his graduate work at Princeton University, where he received his Ph.D. degree in Oriental Languages and Literatures and the History of Art. Grabar, the author of eighteen books and more than 140 articles, has been honored by the American Academy of Arts and Sciences; the British Academy; the Institute for the Study of the Middle and Far East, Rome; the German Archaeological Institute, and the National Gallery of Art, where he delivered the prestigious Mellon lectures. He is a recipient of the Levi Della Vida award, given to honor distinguished scholarship in the field of Islamic Studies, from the University of California, Los Angeles. 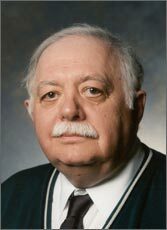 In April 2001, Professor Grabar received the Charles Lang Freer Medal from the Smithsonian Institution "for distinguished contribution to the knowledge and understanding of Oriental civilizations as reflected in their arts." The Freer Medal was inaugurated in 1956 to honor the gallery's founder, Charles Freer, and has previously been awarded only ten times.